This is the Dubbcast, A podcast hosted by Mark E. aka Selah, founder of the group Selah Dubb. 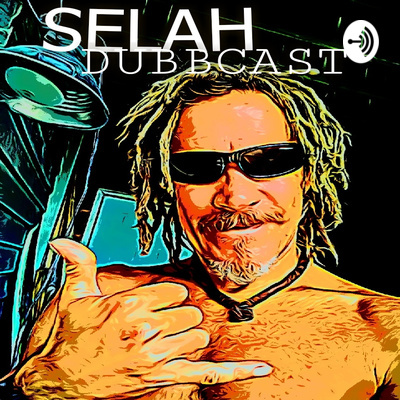 The Dubbcast focuses on everything in the surf Roots world from modern reggae rock to the surf skate culture.. With Interviews featuring a wide range of interesting characters Selah focuses on finding the different point of view from informative guests. A cast of musicians, artists, comedians, pro surfers, skaters, health and fitness gurus, philosophers and free thinkers cover everything and anything on the show. It's always an interesting and fun time on the Dubbcast!! Today's Dubbcast #8 its a reggae Festivus celebration dedicated to our good friend Denny Swinson! on the show today Current events, Space news, and an interview with Sydney and Eric from the Kaya magazine. On the latest episode of the Dubbcast, we interview Justin Heter founder of Dubtown Cosmonauts, big wave shredder and drummer with Selah Dubb. Its a powerful morning! On Dubbcast #6 today we interview my good friend Bert Wray. Artist, Blues Musician, professor of Writing and a colleague of mine in a few bands Including Selah Dubb. On the show he talks about his new Album Home Town Hostage, our early days in Sloppy Joe, jamming with Blues legend Guitar Gabel, opening for Bob Marleys band as a kid in the Dubb, and the current state of the music biz.. Its a super fun show today with one of my best friends indeed, don't miss this great interview! Its a powerful morning as we bring some good vibes to your morning with the weekend recap, the surf report, and an interview with Jah Pops aka Peter Popolo from the original Selah Dubb... Pops talks about old times, his new band, life on the road and life on the southern coast. It's a new Dubbcast to vibe up your morning filled with info and fun stories.. Check it out here on Anchor.. This is Dubbcast #2! on this episode we talk about THE weekends big party fashion mishap, great books, a feature on Derrek Moore of Strange Rootz and other great music!! This is the Dubbcast from Wrightsville Beach, the Dubbcast is a podcast that focuses on all things surf roots, from modern reggae rock, to the surf skate culture and all the interesting characters in the mix.. It's always a good time with the Dubbcast!